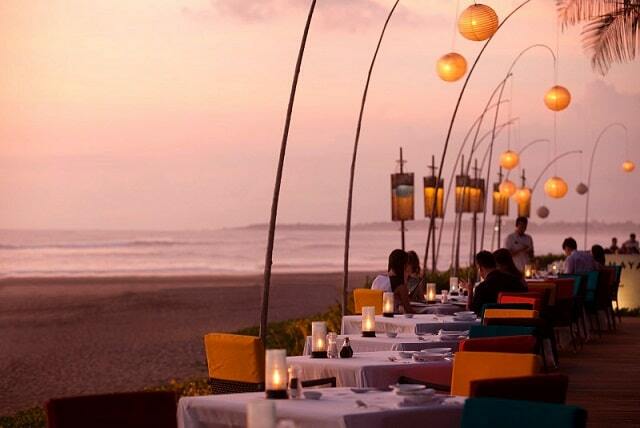 "Seminyak is right next to Kuta beach � a party scene for the young and not-so-young. As opposed to Kuta, Seminyak is a quiet, small and rather hilly area, and it�s easy to get around on foot. I stayed in the north side of town and it took me about 30 minutes to walk �downtown�. The town has a small market place, supermarkets and lots of local stores and restaurants." Seminyak is the next town north of Legian. It's more cosmopolitan resort with mostly luxury accommodation and fashionable, expensive restaurants and bars. The atmosphere is much more progressive and more relaxed than Kuta, and the beach is particularly much quieter during the daytime. Seminyak is also the expensive resort with spas and boutiques, which you can only find in the capital of Bali. Nowhere, the change in Bali has been as great as here in recent years . It is hard to imagine that this present seaside town ten years ago was a fishing village, separated from the other villages. The new time was fast for Bali and Seminyak developed at an astonishing speed. All green space which formerly separated the fishing villages of Seminyak and Legian, was built with hotels, bars and restaurants. It is almost impossible to determine where Seminyak ends and where the nearby villages of Petitenget, Umalas and Kerobokan are beginning. This certainly has its downside, because the whole area has become crowded. 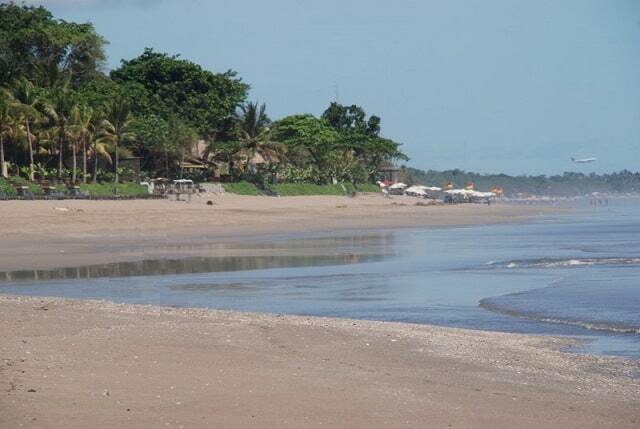 Seminyak Beach and Petitenget Beach have white sand, which extends in both directions as far as the eye can see. In the south you can see the Legian Beach and then Kuta Beach, but here in Seminyak is noticeably more quiet. The sunsets here are famous, and also an opportunity to mingle with the glitterati. Easy access to the beach is the end of Jalan Dhyana Pura and between the large public car park at the Petitenget Temple and La Luciola restaurant. Pura Petitenget beach at Jalan Petitenget is a compact, pretty Balinese temple. This is particularly famous for the spectacular beach-side ceremonies. The temple has been here since the 16th century. Although this is not one of the nine most important temples of Bali, it is an important link in the series of west coast temples between Pura Uluwatu and Pura Tanah Lot. 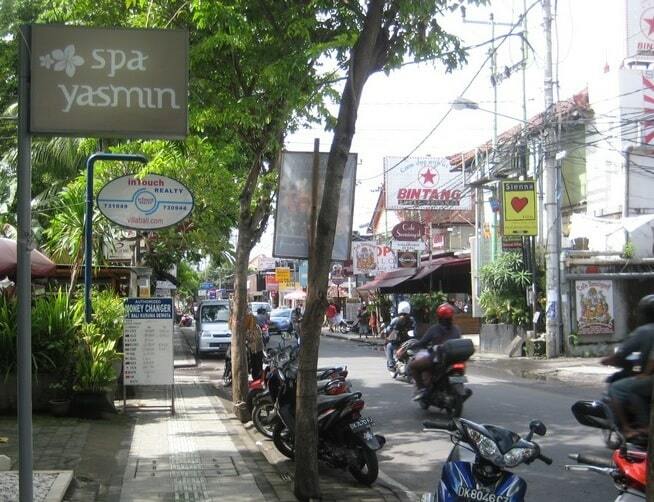 The streets of Seminyak are becoming more and more crowded with traffic, especially Jalan Laksmana is an example. It's best hiking or rent a motorcycle/ bicycle. The roads in Bali are usually named after the place where the road goes to. So if you leave and go to Legian, Seminyak changes the name and becomes the Jalan Legian. A number of roads in Seminyak have alternative names. The change often reflects the change of the place. There are many ways to come. Although this problem is not exclusive to Seminyak, it seems to happen more than anywhere else in Bali. Seminyak in Bali is the center of the hip and innovative fashion stores. There are also many workshops and design shops with beautiful bags and jewelry. A good starting point for any shopper would be the many small boutiques and designer stores on Jalan Laksmana. If you are looking for Indonesian antiques (genuine or reproductions), or just want to enjoy browsing in shops selling household items, try Jalan Kerobokan. It is a very busy road and hard to get through, but on both sides of the street are numerous furniture stores, antique and homeware stores. A quieter option, but just as rewarding for similar products is Jalan Mertanadi. Perhaps surprisingly, there are two traditional markets in Seminyak, where you can buy vegetables, traditional items and fresh products. The first one is the Seminyak Market located at the end of Jalan Raya Seminyak. A little more off the route is a similar market in Kerobokan, called Taman Sari. For both markets is the best visiting time from 7:00 to 11:00 hours in the morning. The markets offer visitors the opportunity to buy traditional items, fresh fruit and vegetables. There are in Seminyak luxury, mid range and budget hotels. There is practically no backpacker accommodation in Seminyak. Backpackers can generally better to stay near Kuta or Legian. However, there are some simple guest places in Gang Bima, just north of Jalan Dhyana Pura, right in the centre of Seminyak. Further south is Jimbaran, famous for its luxury hotels with its bbq's, and the temple of Uluwatu. On the other side of the island, you will find tranquil Sanur, one of the oldest tourist destinations on the island. Sense Hotel Seminyak is a semi-boutique retreat that caters to the needs of savvy travelers with tastefully designed rooms along with an array of modern facilities. The property is within easy walking distance to the beach as well as many popular shopping, dining, and wining places, making it highly popular among dynamic travelers. 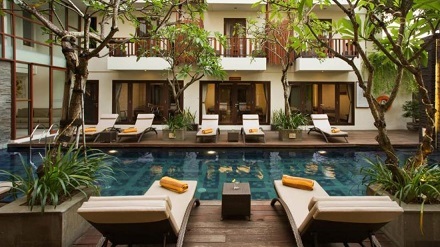 Sense Hotel Seminyak is all about taking quality time out to relax in a stylish surrounding. It is a place to enjoy delightful sun baths by the pool, take pleasure in delicious international cuisine, or rejuvenate in a spa inspired by the healing and beauty traditions of Bali. The hotel enables guests to forget everyday complication and truly indulge in their senses. Staffed by an energetic hospitality team, Sense Hotel Seminyak delivers genuine service and goes beyond the call of duty to fulfill every request in the most timely and gracious manners. Sense Hotel Seminyak is where your unique holiday memory is created.